Towering nearly a thousand feet over the streets of Paris, Gustave Eiffel’s monument to the centenary of the French Revolution is formally dedicated. Many French intellectuals deem it an eyesore, but it will come to be regarded as a harbinger of the modern age and a cultural icon of France. In reaction to what they deem an excess of immorality in US motion pictures, government and industry officials begin enforcing the Motion Picture Production Code, better known as the Hays Code. The censorship rules won’t be dropped until 1968. 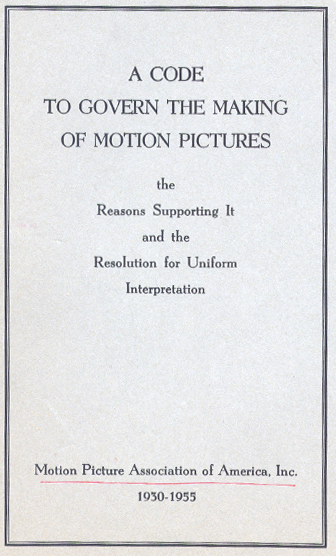 The Motion Picture Production Code was the set of industry moral guidelines that was applied to most United States motion pictures released by major studios from 1930 to 1968. It is also popularly known as the Hays Code, after Will H. Hays, who was the president of the Motion Picture Producers and Distributors of America (MPPDA) from 1922 to 1945. Under Hays’ leadership, the MPPDA, later known as the Motion Picture Association of America (MPAA), adopted the Production Code in 1930 and began strictly enforcing it in 1934. The Production Code spelled out what was acceptable and what was unacceptable content for motion pictures produced for a public audience in the United States. From 1934 to 1954, the code was closely identified with Joseph Breen, the administrator appointed by Hays to enforce the code in Hollywood. The film industry followed the guidelines set by the code well into the late 1950s, but during this time the code began to weaken due to the combined impact of television, influence from foreign films, bold directors (such as Otto Preminger) pushing the envelope, and intervention from the courts, including the Supreme Court. In 1968, after several years of minimal enforcement, the Production Code was replaced by the MPAA film rating system. Nine years after China invades Tibet and begins dismantling its cultural and religious identity, Tibetans wage a revolt and their spiritual and political leader finds asylum after crossing the border into India. He will become a beloved world figure while in exile. The 14th Dalai Lama; is the current Dalai Lama. Dalai Lamas are important monks of the Gelug school, the newest school of Tibetan Buddhism which is nominally headed by the Ganden Tripas. From the time of the 5th Dalai Lama to 1959, the central government of Tibet, the Ganden Phodrang, invested the position of Dalai Lama with temporal duties.